The client approached us prior to commencing the build of their new home with in-ground pool to quote and advise on the new pool fence required. 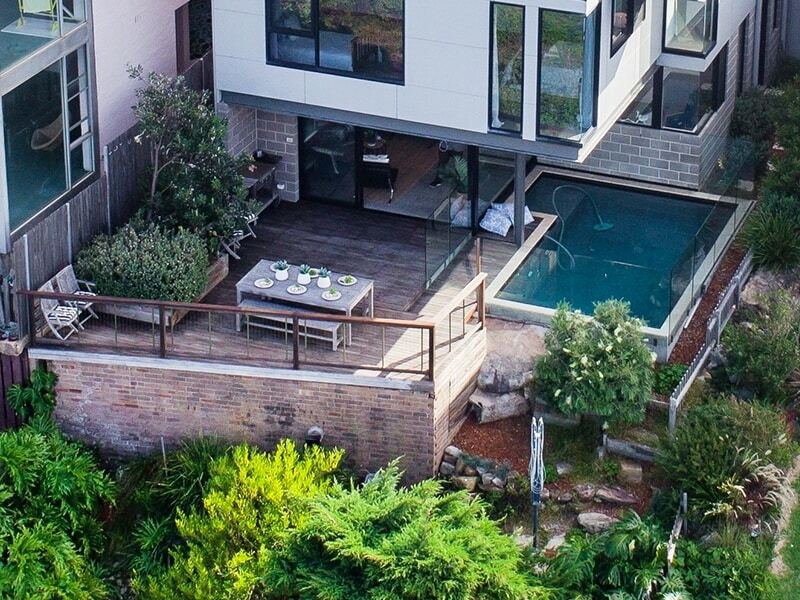 The site was a unique and very challenging tiny block on the Dee Why beach headland. The client planned to build a magnificent new three story home. To meet planning requirements and fit everything in, the pool would be located underneath the overhanging 2nd & 3rd stories on the headland cliff top. Due to the sloping nature of the block it was decided that some of the pool would be above ground level, showing the raw concrete nature of the pool. The leisure side would have timber decking. 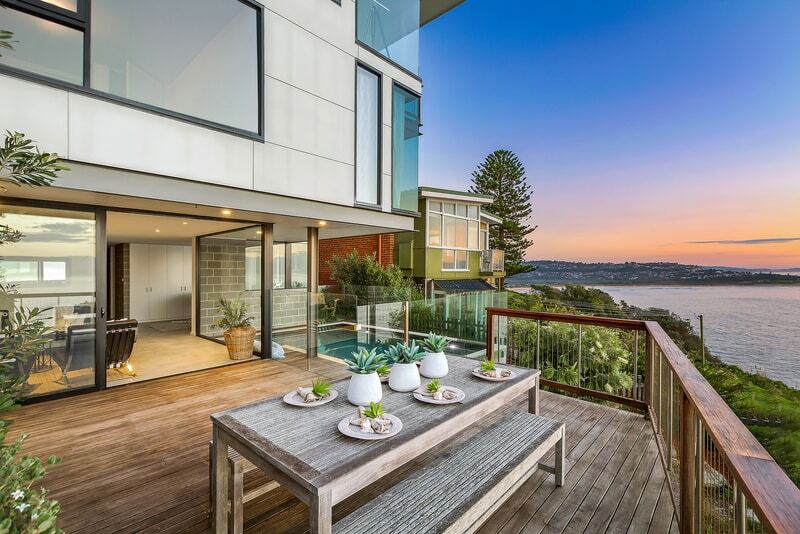 With breathtaking views of Dee Why Beach, north to Copacabana then sweeping almost 270 degrees to the south, fully frameless glass was clearly the best pool fencing option. 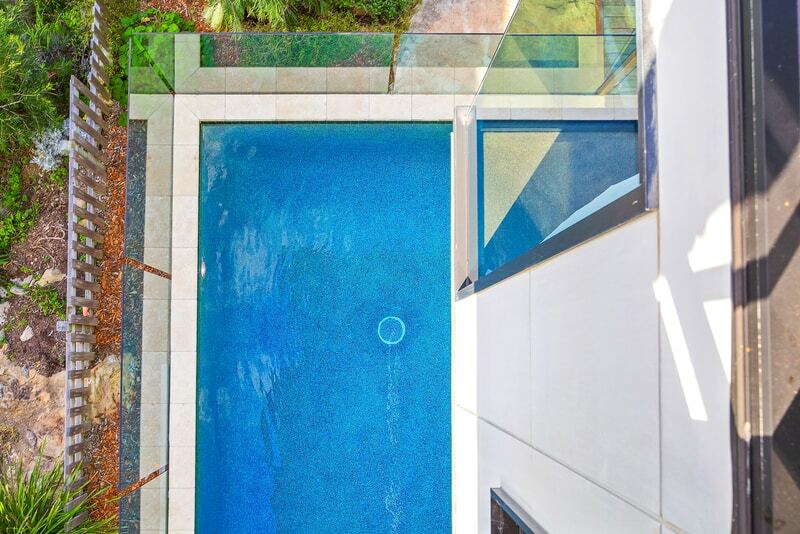 The unique shape and location of the pool, deck and natural ground level meant custom glass panels would provide the best appearance. Some pool fencers use pre-made, standard sized panels for most of the fence, and a single custom panel to ‘fill-in’ the final gap. A beautiful frameless glass fence has identically sized panels on every side. So, the ideal panel size was determined for each side; ensuring the fencing regulation requirements for gaps was met evenly and the pool fence appeared balanced on every side. The client chose to face fix the fence directly onto the outside concrete form of the pool and the step up to the main deck area. 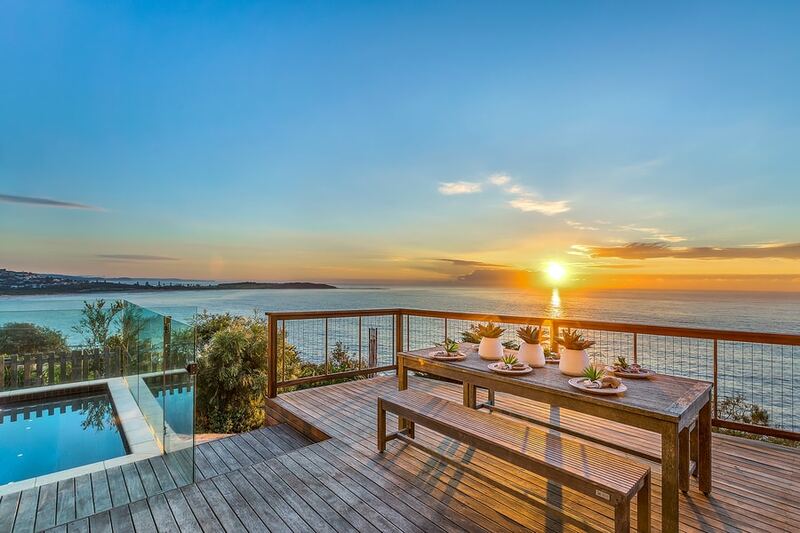 It was also decided, due to the extremely high winds that can occur on the headland, to mount the frameless glass pool gate on a 316 heavy duty stainless steel post. 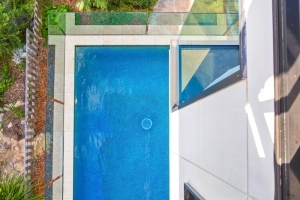 Self-closing hinges and auto gate latch were used to meet pool fencing regulations. Once the external construction of the house and decking was completed, we revisited the site to confirm the actual exact measurements of the pool. This ensured the panel size and design to fitted precisely before ordering the glass. On site installation proceeded quickly and smoothly. The client was thrilled with the outcome but we’ll let you look at the photos to decide what you think. Need a Pool Fence Quote?